We offer a large line of high quality 5 piece solid Poplar Wood frame cabinet doors with several options of economical center panel options. 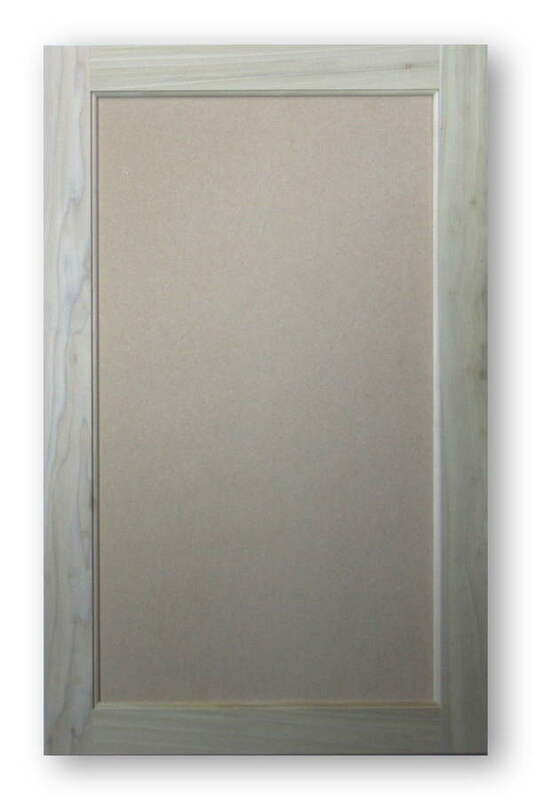 Some of the the center panel options are inset or recessed panel MDF cabinet doors, inset or recessed wood veneer center panel cabinet doors, MDF raised panel cabinet doors, solid wood raised panel cabinet doors, MDF bead board, vee groove, as well as solid wood bead board and vee groove center panels. There are distinct advantages to a Poplar wood frame with various center panel options over routed one piece MDF cabinet doors, or even 5 piece MDF cabinet doors. One advantage is strength and rigidity. 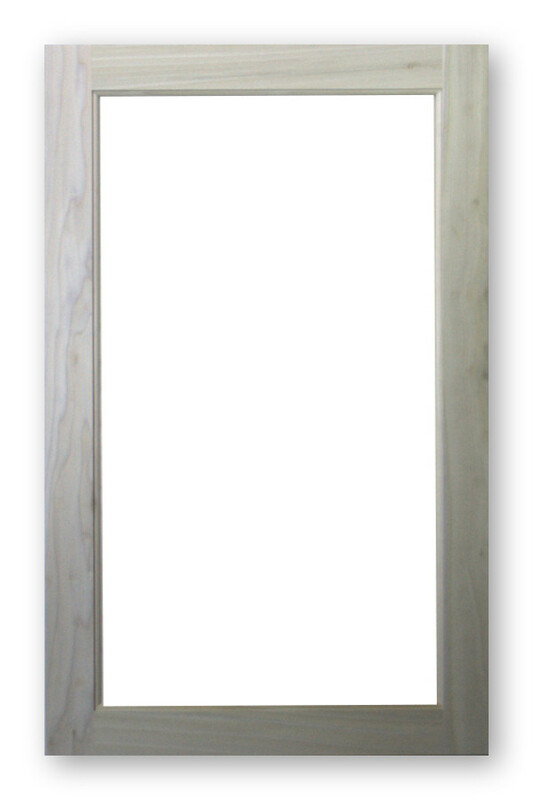 A solid wood frame is superior to a one piece routed or 5 piece MDF cabinet doors. The solid Poplar wood frame provides great strength, rigidity, and screw holding power that MDF does not. Most painters prefer painting solid wood frame doors, it offers less prep time and an overall better finish. In a small quaint town in the middle of Texas lies the cabinet shop of Terry Fellows. Terry is an older gentleman with decades of experience in building custom kitchen cabinets and kitchen cabinet refacing. Over the recent years the kitchen cabinet refacing side of his business has been very busy, especially the painted finishes. Terry has opted to purchase cabinet doors and apply the finish himself, this way he can get the exact color his customer specifies. Most of the cabinets that he builds are usually painted or unfinished and painted on site . Some cabinets are painted on site since they typically get very ornate moulding treatments. In a small shop such as Terrys the bottom line can be a very important thing when trying to keep a small shop in operation. Terry is always looking for new ways to save money when building cabinets. One thing Terry has found out over the years is to use an economical paint grade material for his painted projects. One product he uses specifically is poplar paint grade cabinet doors. These affordable cabinet doors have many variants. 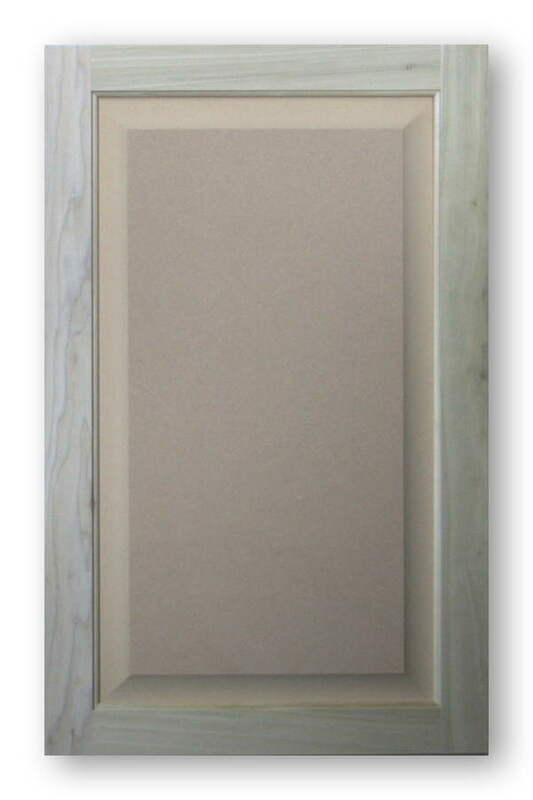 Poplar paint grade cabinet doors are available in a tremendous selection, just a few are Shaker style, raised panel, applied moulding, inset panel, and bead board cabinet doors. One thing that Terry is finding out is that making the switch to poplar cabinet doors his profits have skyrocketed . 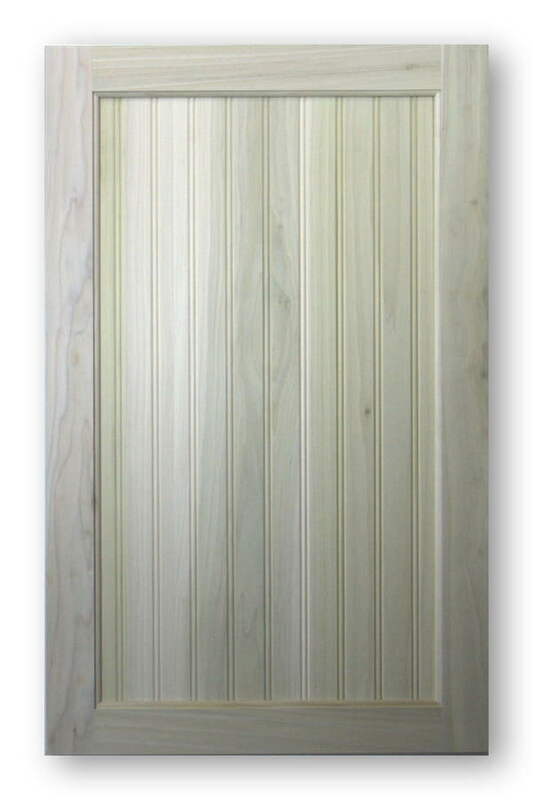 Poplar paint grade cabinet doors can be very affordable, depending on the style. In the past Terry’s clients all have completely different tastes when it comes to cabinet door styles. Although there are many types of woods available that can be painted poplar happens to be the most affordable. 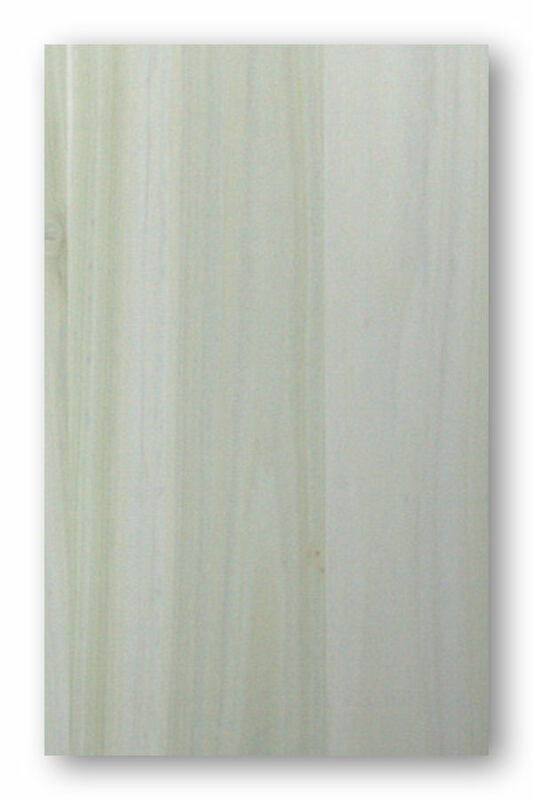 Poplar wood shapes and sands well and has good durability which makes it an ideal paint grade material. 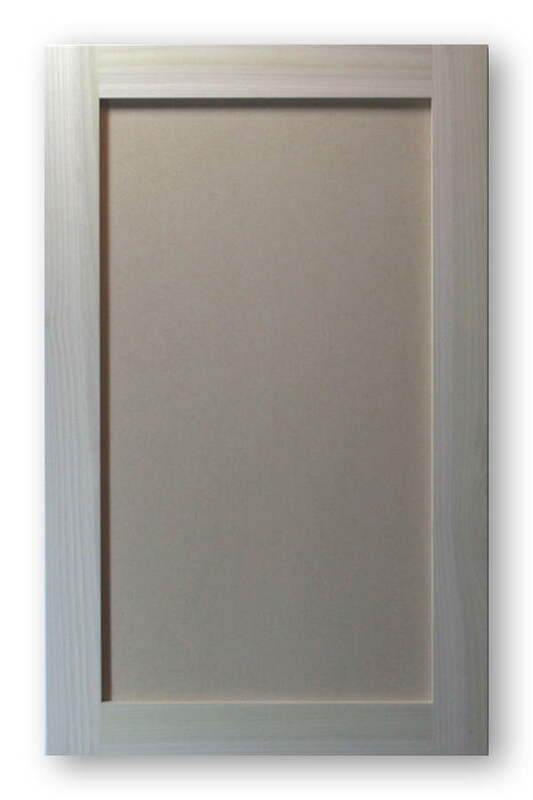 Poplar paint grade cabinet doors can also be had with an MDF center panel. The MDF center panel can easily be painted, and once painted you wont be able to tell the difference between that and solid wood. MDF offers great paint-ability and economy without sacrificing quality. Since Terry does his own finishing he and his crew have painted literally thousands of poplar frame MDF panel cabinet doors. One tip he offers is making sure that you prime your cabinet doors and then do a light finish sanding before applying your final top coat. He also states to attach the hinges after you have applied the final coat, “you don’t want to have to tape or paint around the cabinet door hinges” says Terry. Poplar paint grade cabinet doors can certainly be the answer for most custom cabinet shops to boost profits and save time. 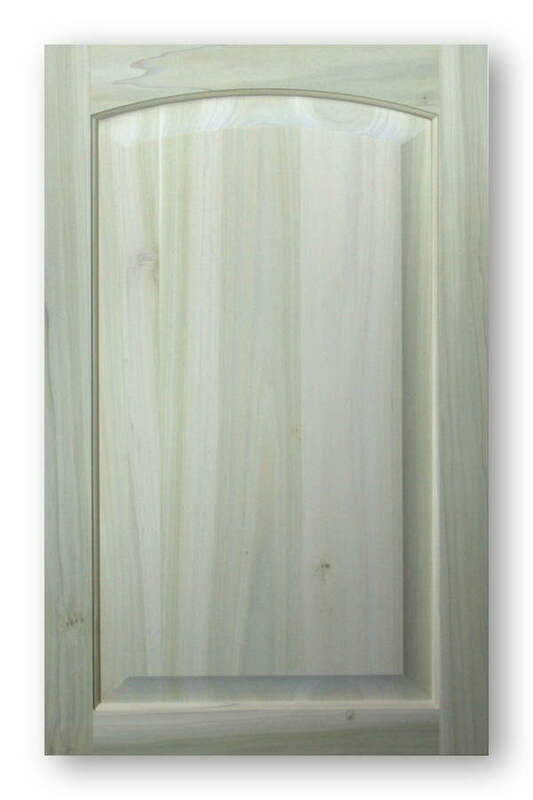 Poplar wood can be a very good choice for cabinet doors. Poplar wood has a fine texture, is lightweight, mills, sands, and drills beautifully. Poplar wood is commonly used for painted trim and mill work, making it ideal for custom cabinet doors. This wood varies from almost white in appearance to sometimes green and purple colors. It can also be stained or dyed and finished with a clear coat. But due to the wild colors of the wood it is usually recommended that a medium to darker finish be used. Glazes and toners can also help even the woods color in a stain grade situation. Since Poplar wood is relatively abundant and affordable it makes it an ideal choice for painting and faux finishes. Cabinet doors made from Poplar can be made in solid wood, where the frame and panel are both solid, or the frame can be Poplar wood with the center panel being a plywood, or composite material. By using a plywood veneer material or a composite you can save costs over solid wood doors, and still achieve the same look. Poplar has been gaining tremendous popularity in its use for unfinished paint grade custom cabinet doors and still remains a cost effective alternative to other woods that can be painted. Is it really possible to install some replacement paint grade cabinet doors on your cabinets and actually add value to the home? In most cases yes this is totally possible, if it does not add a monetary increase in your homes value it may just be what actually sells the home. With today’s economic ups and downs forking out large sums of money on entire kitchen remodels may be well out of the scope for some homeowners. For some it does not make financial sense since they may not want to be staying in that home for any long duration. This is where paint grade cabinet doors can save the day. By replacing your kitchen cabinet doors with affordable paint grade cabinet doors you can have a drastic kitchen transformation for a fraction of the cost of tearing out the kitchen cabinets. This is ideal for many homeowners since this investment now is minimal in comparison. Should you decide in the future to tear out the cabinets and replace them you can even try listing your old cabinet for sale to offset the cost of remodeling. Either way you are in a potential win win situation. There are a few points to think about when considering swapping out those old doors for new paint grade cabinet doors. First and foremost would have to be the condition of the existing cabinets. Ask yourself are they built solid enough to be around for the next few years? You will have to make the determination whether they will be able to be in good enough shape to accept new cabinet doors. Most older kitchen cabinets are well built and are still solid enough to work well with a cabinet door update. But if the cabinet cases are coming apart and if there is a lot of water damage, such as in a sink cabinet, then you can opt to fix or even replace the damaged unit. Of course if there are many units in bad condition then an entire replacement may be needed.